Search engine optimization (SEO) tactics constantly change due to search engines updating and creating new ways of determining the best websites to rank the highest in their search pages. With this in mind, the way you may have done SEO for business website in the past is not going to be as effective as how you should be doing it today and could even harm the results you are hoping to attain. That is one reason why many businesses hire SEO companies, because it’s their job to stay up to date on the latest guidelines. But if you are going to do it in house, there are particular tactics you should use in order to make sure your efforts help flag the search engines that you are a relevant and worthy site to rank highly on their search pages. Obviously, the right key words are the most important to define. If your business is about selling sprockets then sprockets should be one of your primary keywords. 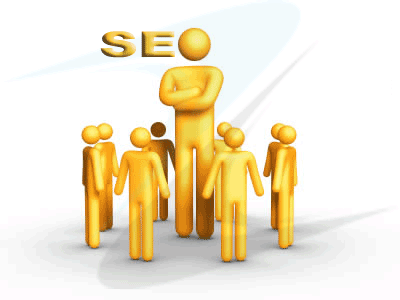 What you do with those keywords will determine how successful you will be able to be with the search engines. That should start with your page titles. Page titles should have the keyword at the beginning and be something compelling and unique, and under 70 characters. The next most important area to use your keywords is in the meta descriptions. This is what users see in the search engines when your link is displayed. It should contain a clear, concise and compelling message. Then, there should be at least one H1 title on each page, but no more than one. This of course should contain the primary keyword. If you would like to use more header titles or subtitles, make sure they are H2 and so on. After that, make sure the image alt tags make use of the keyword as well. This is one of the quickest and easiest ways to boost your SEO. Keep images limited though because while they are important, content is and will remain King. Using the right keywords in the right way is the only way you are going to be able to rank highly in the search engines. Specifically, use them in page titles, meta descriptions, H1 titles and images. From that point, you can make sure you have high quality inbound links to further assist you in your SEO goals for your business website. Having a few well placed links on highly trafficked websites will do better for you than having a hundred inbound links from junk websites, so stay choosey how you arrange your inbound link campaign.